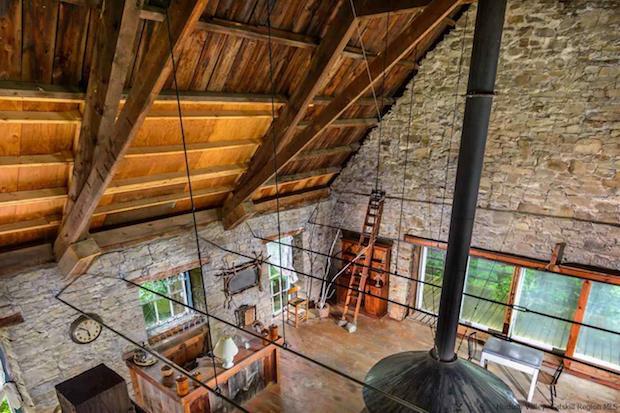 This converted structure is perfect for artists and lovers of history and old-world charm. 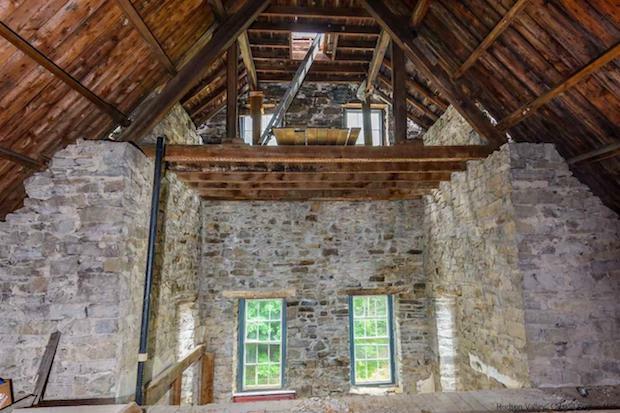 The 2,100 square ft. home used to be a church, with the original building and the hand-cut stone work dating back from the 19th century. The home is perfect for those looking for a work studio and a comfortable spacious home all in one. 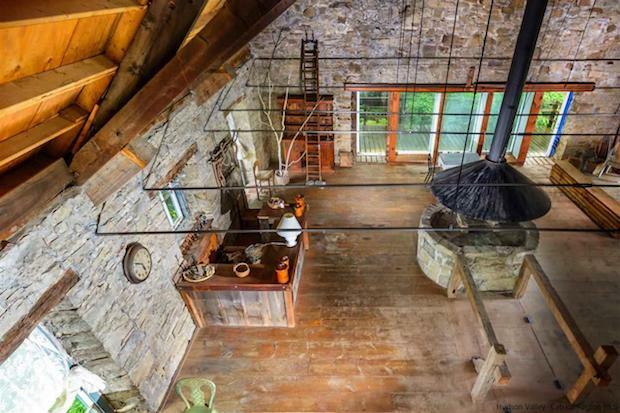 The cathedral ceilings, 7 ft. windows, and the old-fashioned hearth gives it so much character and drama. 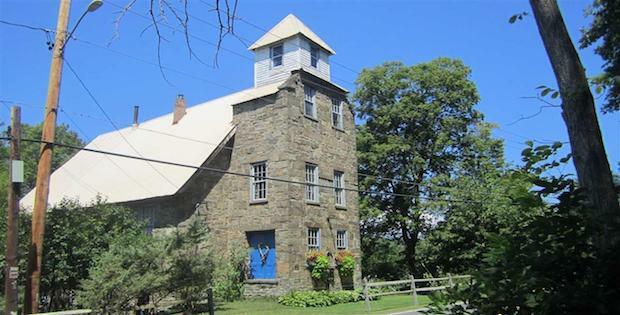 This former stone church is in the Hudson Valley, between New Paltz and Kingston. 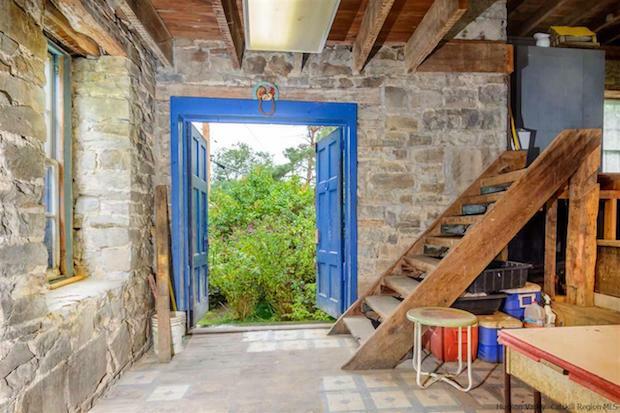 It just sold for $799,000. 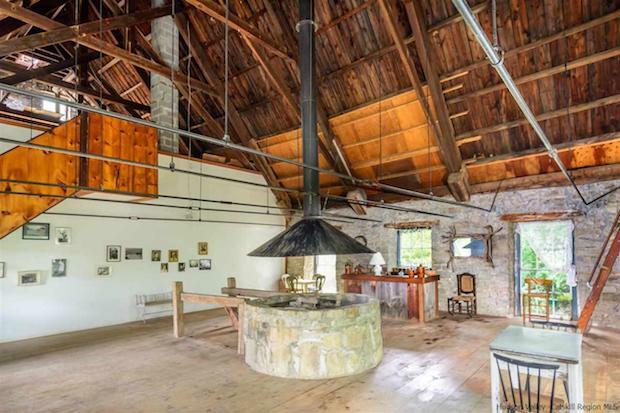 The space would, as the listing suggests, be perfect for artists, musicians or theater companies, or just as a weekend getaway. Even better if you’re expecting guests: The great room’s deck offers river views, and there’s a bar and an indoor grill.